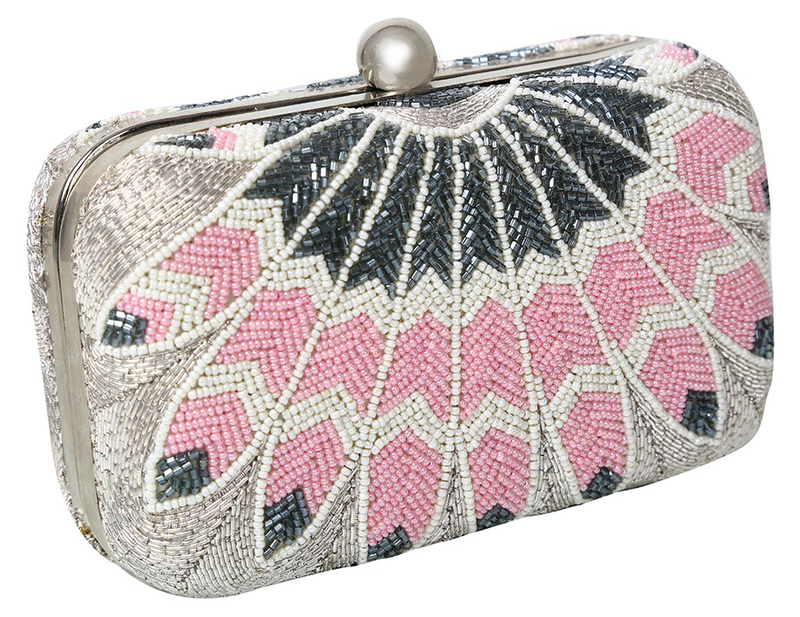 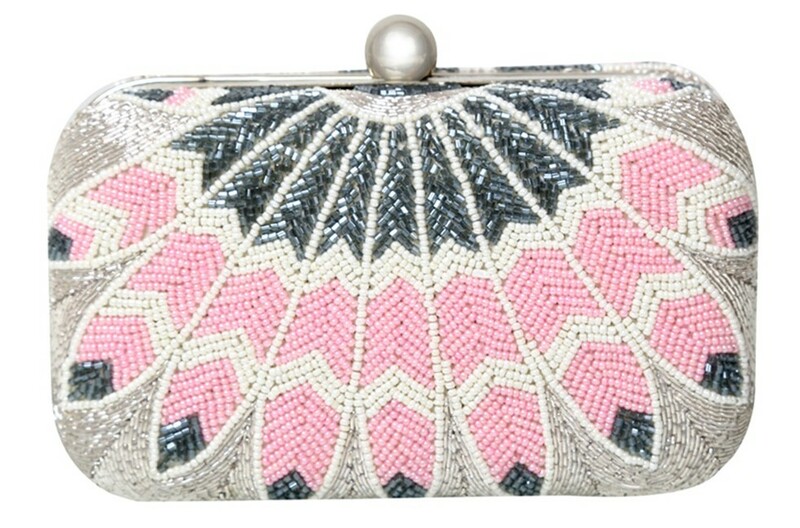 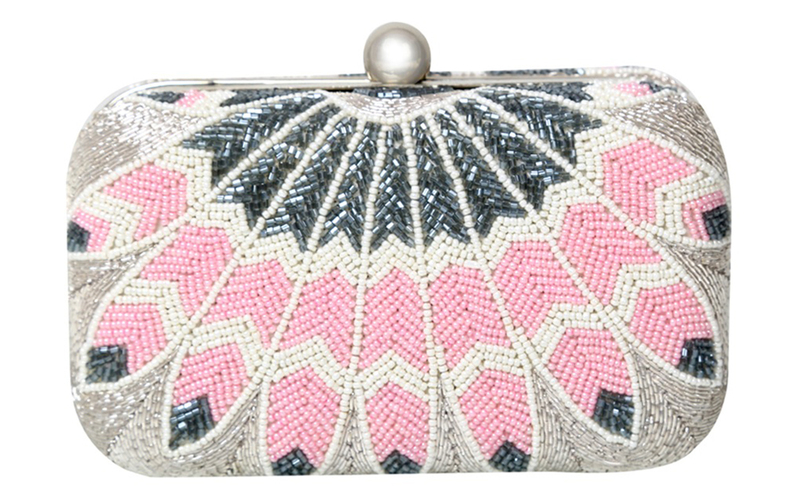 Like a Phoenix rising from the fire, step out with this powerful statement piece Minaudière, handcrafted in stunning grey, pink and white glass beads and silver zardozi on both sides. 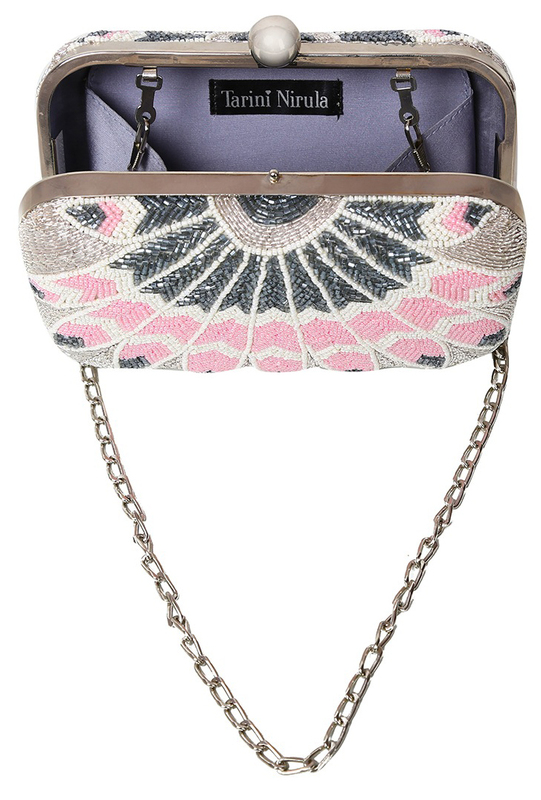 Handwork on both sides. 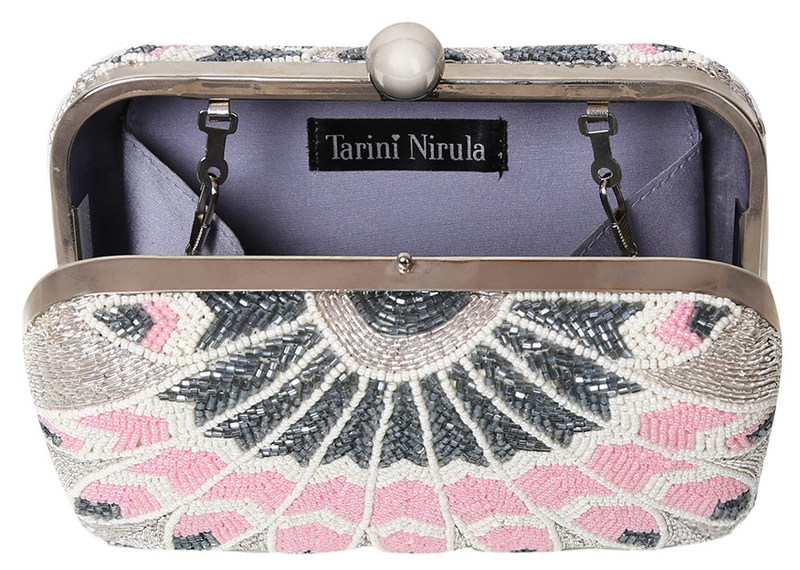 MATERIAL: Grey/White/Pink Glass beads, Zardozi, Grey poly-silk lining (Inner lining is subject to change), silver frame with round/tablet clasp, silver chain.